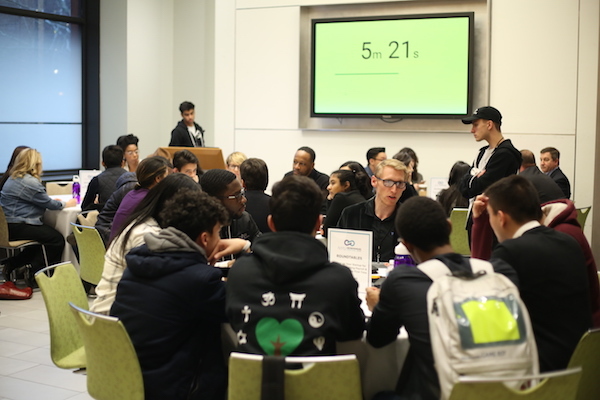 In the 9 months leading up to the 7th Annual NYU Entrepreneurs Festival, which took place on Feb 23rd and 24th, we focused heavily on our goal of cultivating an environment where students and alumni alike could learn, grow, and teach. In May 2017, Louise (Stern/CAS ‘18) and I (Sophie, CAS ‘18) were selected as co-chairs and in September, we formed the core Festival planning team. In October, along with our incredible creative director, Luke Salin (Tisch '20), we held our first Festival planning meeting. In total, our 10 planning teams held over 50 meetings and exchanged over 10,000 Slack messages! It was stressful to plan for so long without seeing any tangible rewards, and we were definitely nervous about last minute emergencies, but it was more than worth it to see our planning efforts come to life during the 2-day event. 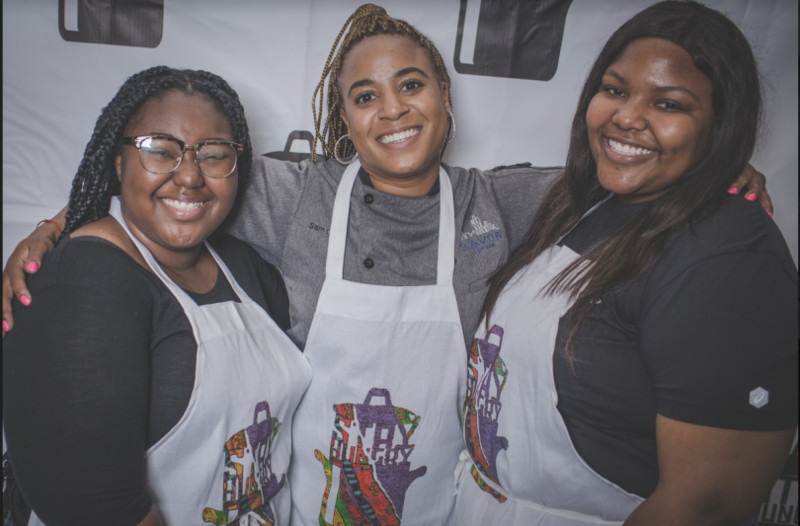 We worked created the first-ever Hackathon both to help attendees meet each other and to create an environment in which they could practice creating a startup. 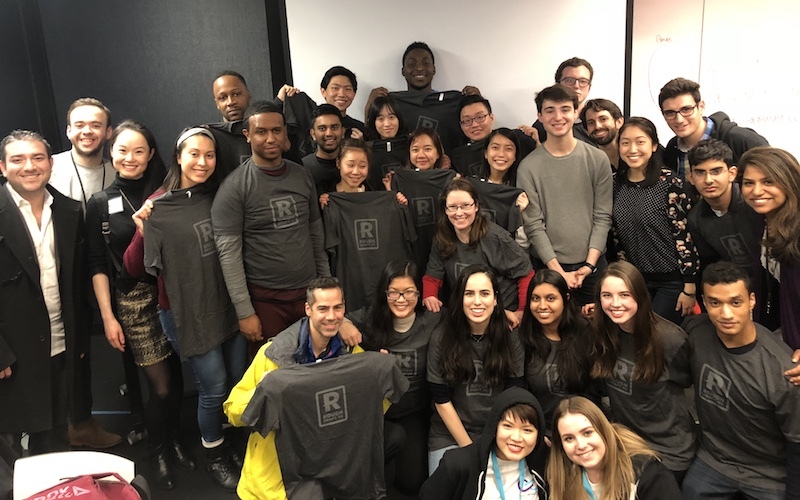 The Hackathon was generously sponsored by Rough Draft Ventures, which builds a network of student entrepreneurs and supports them with mentorship, resources, a community of peer founders, and access to capital. 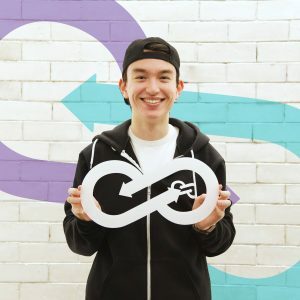 (The Entrepreneurial Institute interviewed Jack DeFuria, a Venture Fellow at RDV, to learn more about his work there.) Over 60 people attended the Hackathon, and we’re excited to continue the Hackathon in future years as it was an incredibly valuable addition to our already jam-packed weekend. Everyone who participated in the first-ever Hackathon at the Festival. Our team also worked to ensure a diverse festival, in terms of attendees, speakers, and startups that presented. 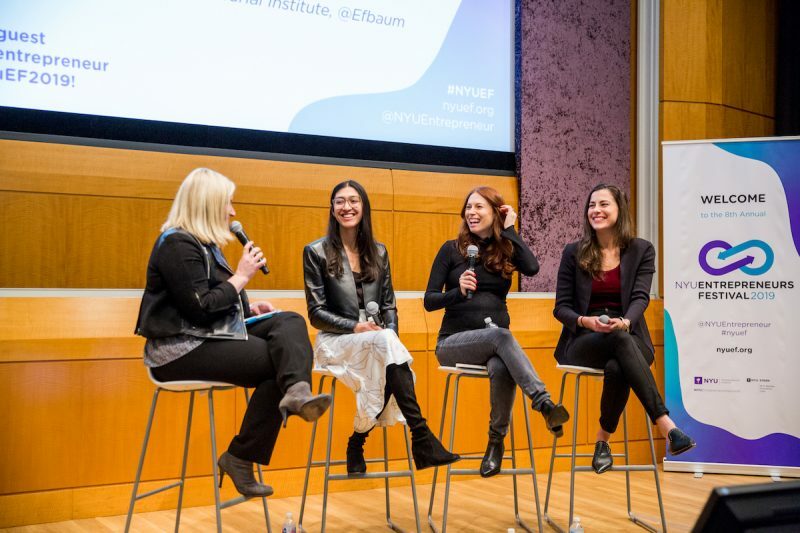 Aspiring and experienced founders alike found value in speaker topics ranging from “Starting a Startup While in School,” to “Creating a Media Buzz,” from startup legal issues to experiences of female founders. 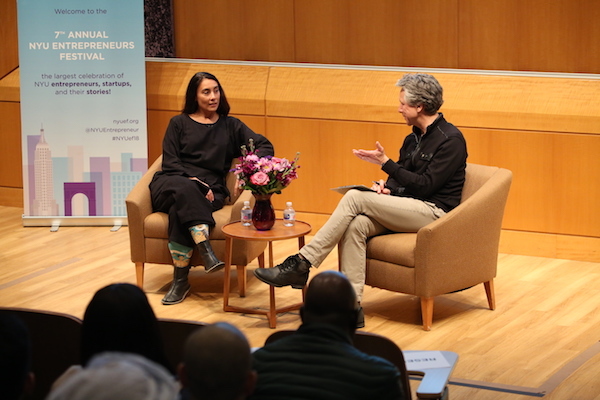 Speakers, some of whom were either still attending NYU or made mid-professional career pivots to start companies, ranged in studies from studio art at Steinhardt to finance at Stern. Attendees came from 20 NYU Schools, including our medical, nursing, and dental schools; NYU’s campuses in Shanghai and Abu Dhabi; and creative schools like Tisch. 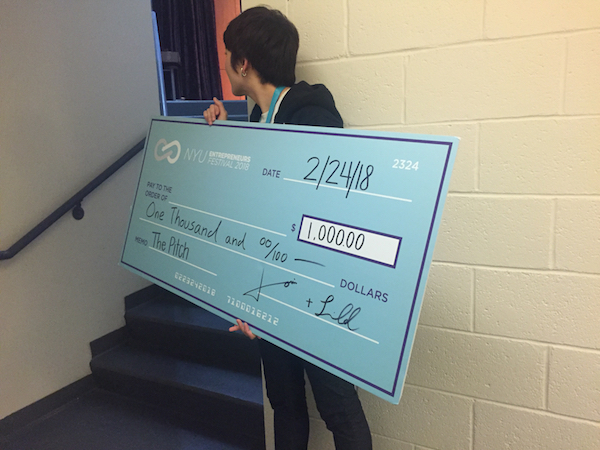 Louise gets the check ready for the winners of the pitch competition! 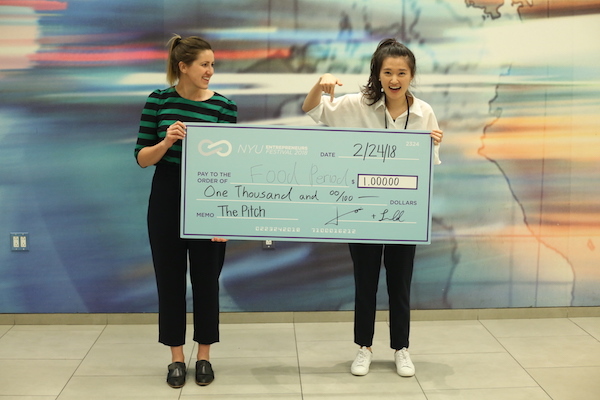 Food Period wins the pitch competition. 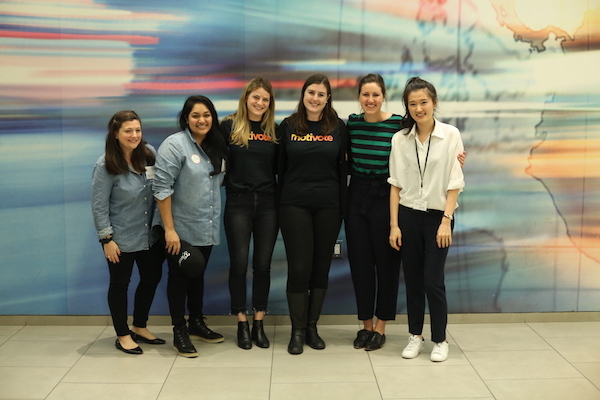 All the pitch competing teams were comprised of #femalefounders! 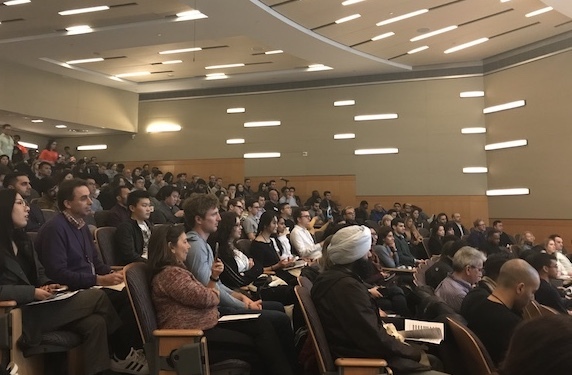 The festival hosted 3 keynote speakers [Di-Ann Eisnor (Steinhard '94) of Waze USA, Nedal Shami (CAS '00) of CityMD, and Tony Shure (CAS '98) of Chopt], 6 panels, 12 roundtables, 6 workshops, 1 pitch competition, and a record-breaking 1,100 people over the course of 2 days! There was a flurry of excitement as people raced to grab the last seat at a workshop, hurried to their next panel, and rushed to ask founders about their companies. It was incredibly fulfilling to see people so engaged in and so excited to learn about entrepreneurship. Di-Ann Eisnor from Waze USA was one of three keynote speakers. Roundtables were a big hit at this year's Festival. As co-chairs, attending the Festival was very different from previous years. We had a much more detailed understanding of the Festival as a whole, rather than that of an attendee. 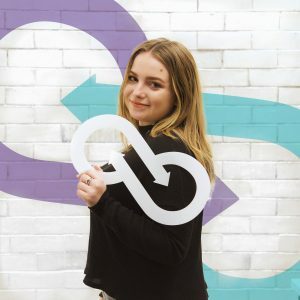 It was incredibly energizing to walk around the startup exhibition, attend different speaker events, and meet the speakers for the first time after planning the event and hearing their names for so long! We loved seeing everything come together. Being able to play a role in this process is really special, as we know connections formed here can transform into strong, long-lasting relationships. I loved the workshops the most. These interactive events allowed attendees to ask specific questions of entrepreneurship professionals. People piled into the rooms, taking copious notes and hanging on to every word. The greatest reward was seeing people so engaged and so excited, as they were getting targeted and tangible information from speakers who had coached and built successful startups. A full house during one of the talks at the Festival. For more photos, click here! 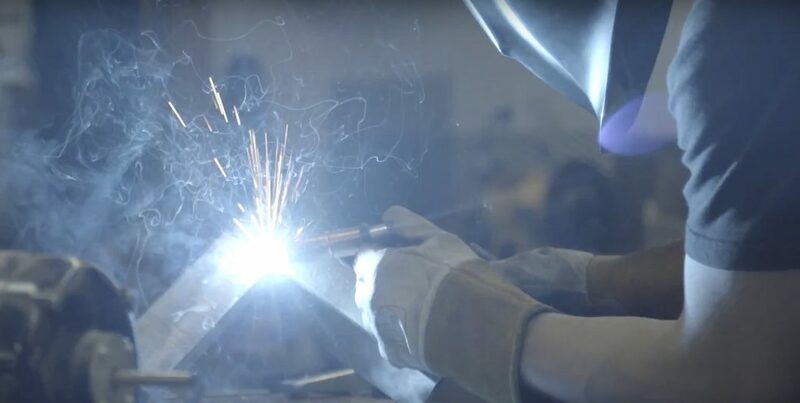 We also created a few short videos (all videos listed below are under 3 min) for you to relive what our awesome keynote speakers talked about during the festival. We hope you can catch a few.